Tackling obesity and improving population diets requires a comprehensive societal response, including government policies, community support, and wide-scale action from the food industry. 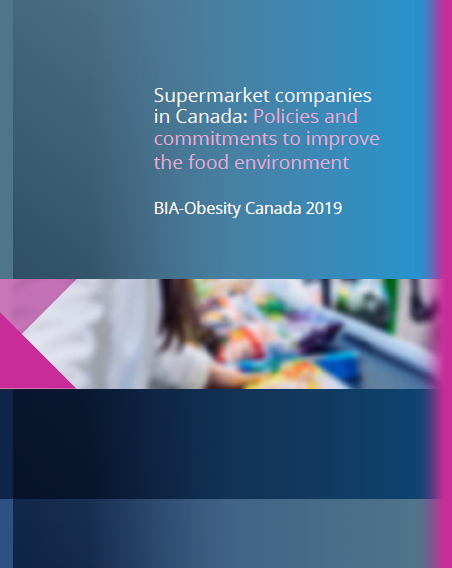 This study assessed, for the first time, the largest Canadian food companies on their policies and commitments related to population nutrition and obesity prevention. 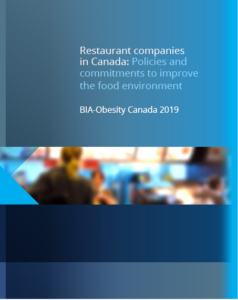 The main objectives were to highlight where major food companies in Canada are demonstrating leadership in helping to create a healthier food environment, identify good practice examples, and make specific recommendations for improvement. While this study focused on policies and commitments, future phases of the initiative will investigate the performance of companies (e.g., extent and nature of food marketing to children, healthfulness of overall product portfolio) and compliance with commitments made. 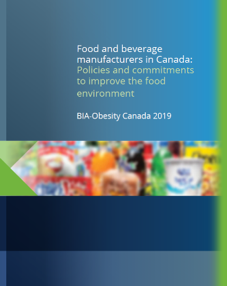 For additional information on the BIA-Obesity 2019 process, or for media inquiries, please contact Dr. Lana Vanderlee (lana.vanderlee@utoronto.ca) or Dr. Mary L’Abbé (mary.labbe@utoronto.ca).